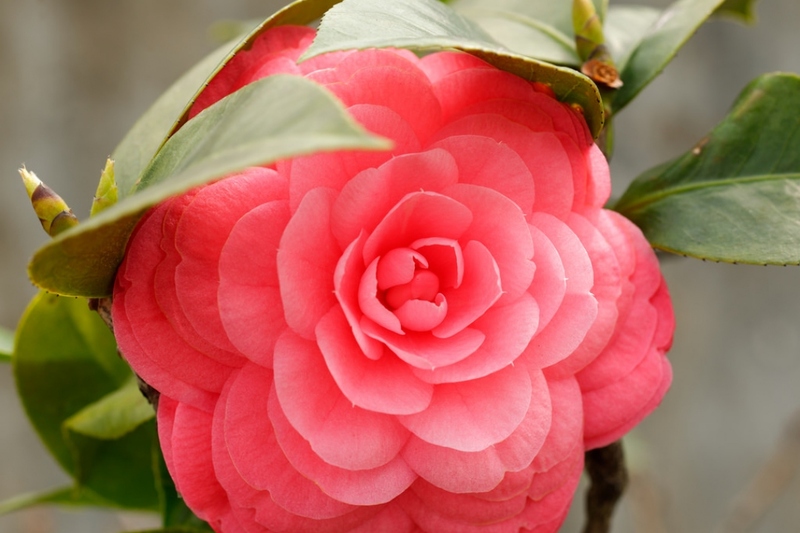 Camelia (Camellia spp. ): growing, planting, caring. 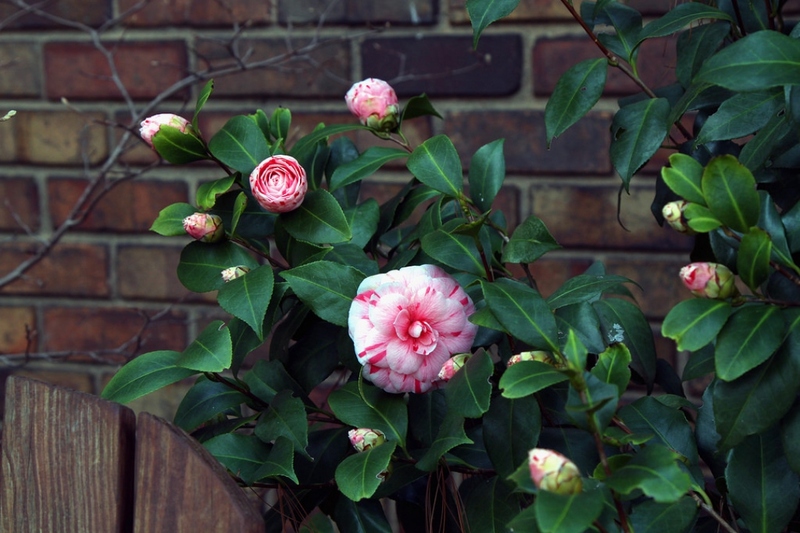 Evergreen, moderately sized with beautiful flowers, certain cultivars even bloom in winter, making camelia a real crowd pleaser. It should only be planted by a gardener that's ready for some hefty upkeep. 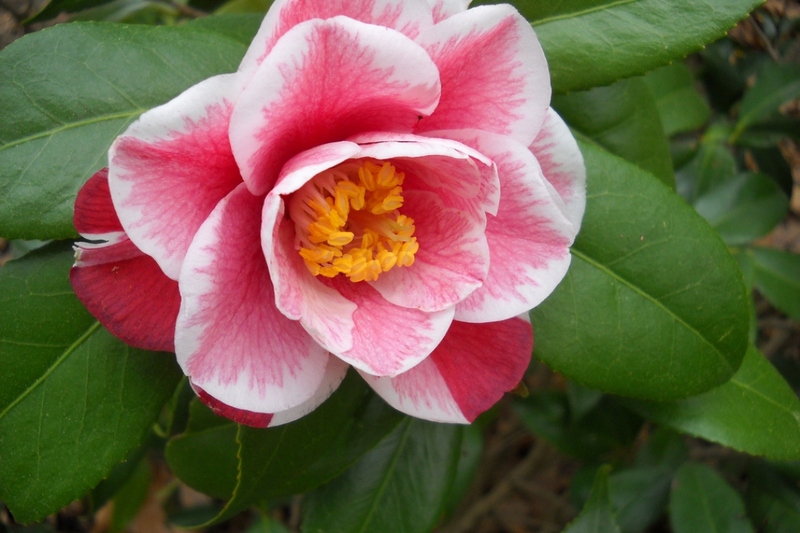 Scientific name : Camellia spp. 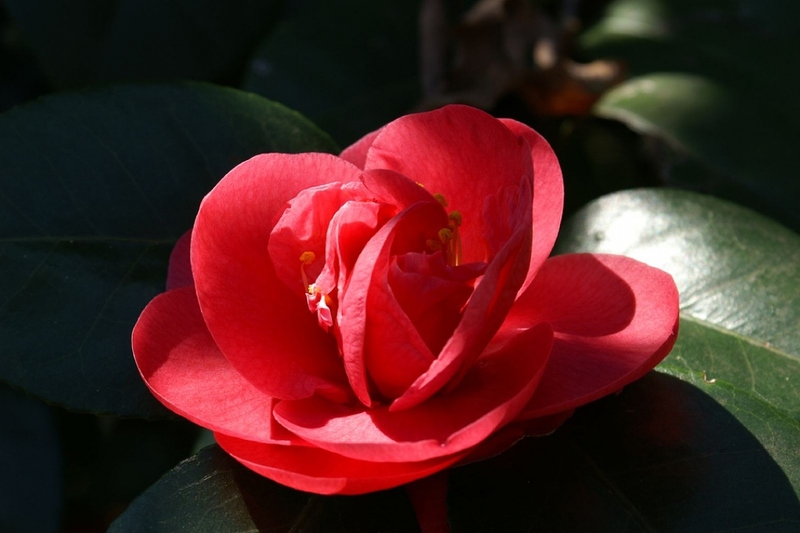 Camelia has her strengths, with superb flowers, handsome evergreen foliage, and an early bloomer. 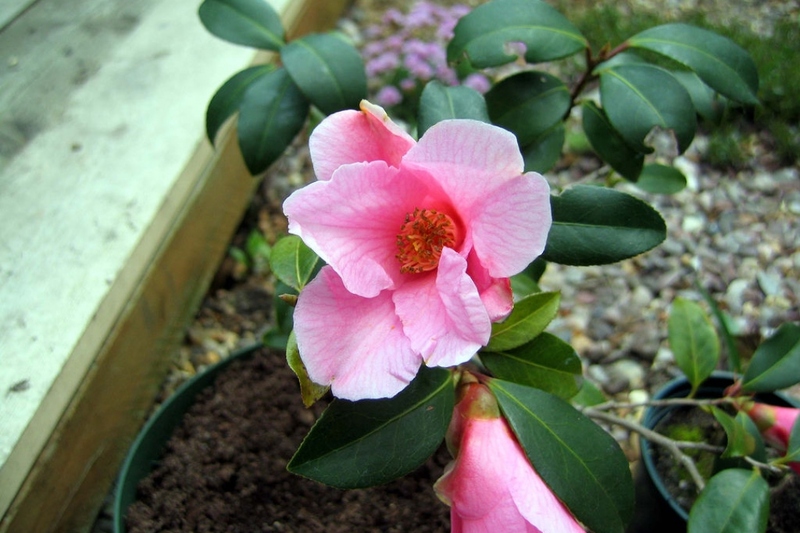 But the drawbacks are sizeable: it can't grow in just any soil, and especially not in gardens with too much alkaline. It needs soil that's slightly acidic -ph 6-, rich, and cool, sheltered from violent light and frost. 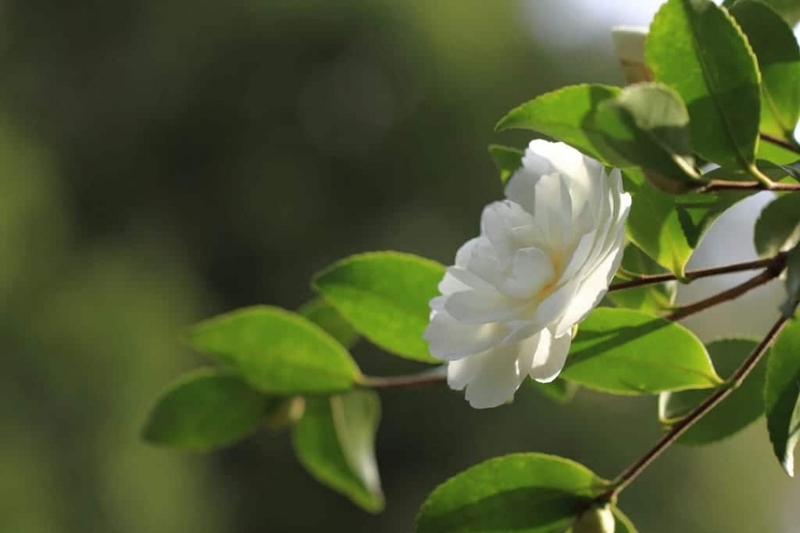 If you're in a region with acidic soil and an ocean climate, camelia is the plant for you! Otherwise, it can grow in a pot, but you'll have to give it fresh dirt and peat, which has a certain environmental impact. Planting in open soil in a bed is possible, but has the same drawbacks. 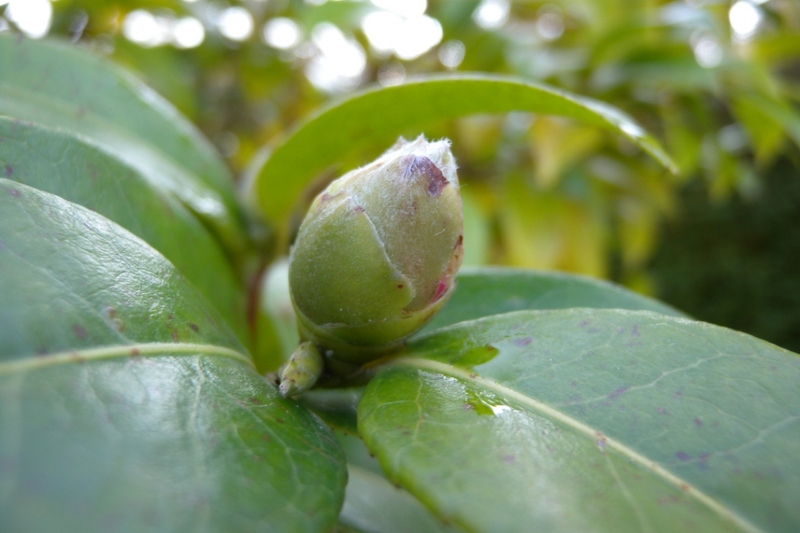 As an alternative, for ordinary or chalky soil, take a look at Viburnum. Most species are very sensitive to frost, except for some. Protect your plant, either by mulching it abundantly and covering it with burlap, or, if it is in a pot, by returning it under shelter for the frost period.